Sydney, May 27 (IANS) India's ace shuttlers Saina Nehwal, Kidambi Srikanth and the women's doubles pair of Jwala Gutta and Ashwini Ponnappa made a winning start to their campaigns at the $750,000 Australian Open Superseries by entering the second rounds of their respective categories here on Wednesday. Saina gunned down the challenge thrown at her by Malaysia's Cheah Lyddia Yi Yu by pocketing the contest in straight games, 21-12, 21-10. The world No. 1 looked at ease right from the start as she gave Yi Yu very little to feed upon. In the first game, the Olympic bronze medallist clinched nine consecutive points to race to 21 and conceded only 12 points. When most thought the Malaysian would stage comeback in the second, Saina once again showed her what rich vein of form she is in, claiming the game 21-10 and the match in just 32 minutes and take a 2-0 lead in head-to-head battles. Saina will face China's Sun Yu on Thursday whom she has beaten three times before and has lost only once. 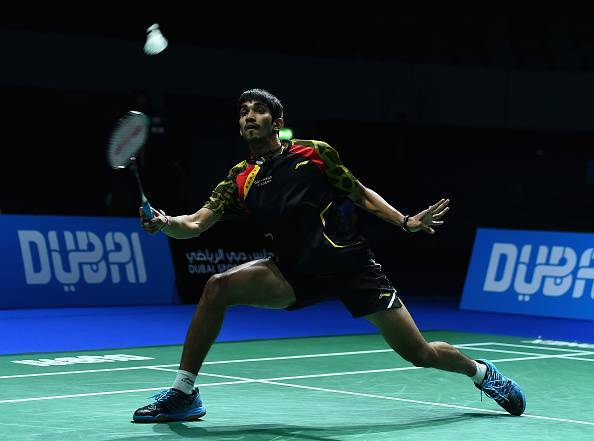 World No.4 Srikanth could not carry the momentum into the third game and was being led from the start. In no time, world No.14 Vittinghus had four matchpoints at 20-16. But somehow the Indian youngster made a remarkable comeback to not just save all the matchpoints but also earn two more points to bag the game 22-20 and win the match in 53 minutes. With the win, Srikanth levelled his head-to-head to one-all and will next take on Chinese world No.10 Tian Houwei, who has won the only match between the two in Malaysia earlier in February. Women's doubles combine of Jwala and Ashwini also made a winning start as they had a relatively easy, 29-minute victory over Dutch combine of Samantha Barning and Iris Tabeling. The Commonwealth Games champions won 21-13, 21-13 but face a tough task ahead as they will take on Indonesian fourth seeds Nitya Krishinda Maheswari and Greysia Polii on Thursday. Meanwhile, reigning Commonwealth Games men's singles champion Kashyap had to bite the dust as he lost a marathon battle, that lasted an hour and 21 minutes, to sixth seed Zhengming Wang. The Chinese won 24-26, 21-18, 22-20 to take a 5-1 lead in career meetings over the Hyderabadi. Sindhu also lost a tough fight in a one-hour 12-minute women's singles battle against nemesis and former world Champion Yihan Wang. The Chinese eighth seed lost the first game 18-21, but came out stronger to win the next two 21-15 and 25-23 to take a 4-1 lead in career meetings over the World No.12. South Korean mixed doubles pair of Choi Solgyu and Eom Hye Won also put to rest the challenge of qualifiers Pranaav Chopra and Ashwini, who lost 19-21, 14-21 in 35 minutes. World champion Chen Long of China dropped a game against R.M.V. Gurusaidutt before prevailing over the Indian 15-21, 21-9, 21-17 in an hour and 12 minutes.